Several board level changes took place in Sri Lanka’s top blue chip John Keells Holdings PLC (JKH) this year with the retirement of Deputy Chairman Ajit Gunewardene and Group Finance Director Ronnie Peiris with effect from December 31, 2017. Gunewardene had been a board director at JKH for over 24 years and Peiris joined the JKH board in 2002/03. 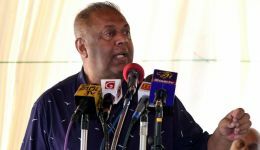 Replacing Gunewardene and Peiris would be Executive Directors Krishan Balendra as the Deputy Chairman and Gihan Cooray as the Group Finance Director. A JKH stock exchange filing also announced the retirement of Chairman Susantha Ratnayake with effect from December 31, 2018 and the appointment of Balendera and Cooray as the Chairman and the Deputy Chairman respectively, with effect from January 1, 2019. Balendra oversaw the John Keells Group’s leisure sector and John Keells Stock Brokers. He also serves as the Chairman of Nations Trust Bank PLC and is the Honorary Consul General of the Republic of Poland in Sri Lanka. Balendra and Cooray have also been appointed to the boards of John Keells PLC, Ceylon Cold Stores PLC, John Keells Food Products PLC, Tea Smallholder Factories PLC in Non-Executive Non-Independent Director capacities with effect from January 1, 2018. Meanwhile, Incumbent Group Chairman Ratnayake has been appointed as the Chairman of Union Assurance PLC with effect from January 1, 2018 following the retirement of Gunewardene.